Purchase your Carriage Home in time for the Holidays, get an extra garage bay valued at $50,000. As the developer and builder of the Carriage Homes, seeing our green vision come to life has been a joy. 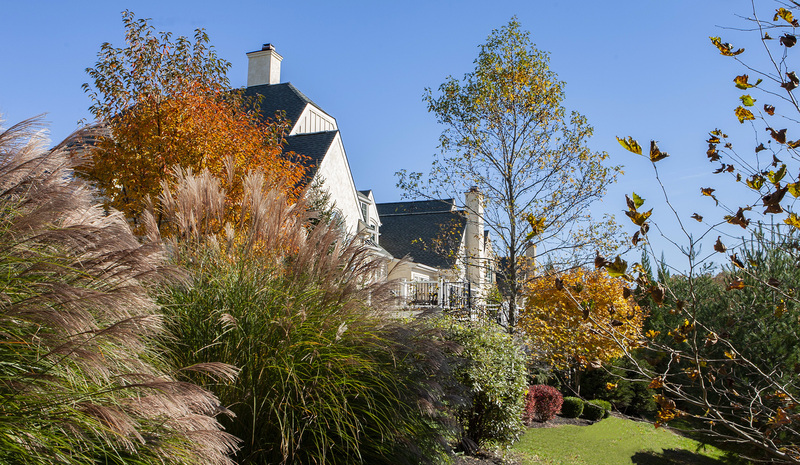 Haverford Reserve began as a new vision of luxury. Set within 120 acres of preserved woods, this eco-friendly community of custom residences offers a uniquely uplifting life. The award-winning designs and fine details inspire and energize you. The wooded trails revive you. A maintenance-free life unleashes you. And the architecturally stunning Haverford Township Center welcomes you with indoor jogging, gym, and yoga, cooking and art classes. Our founder, Kenny Goldenberg, dedicated the Goldenberg Group to realizing the maximum benefit from each new development. Seeing how close this neighborhood has become is also deeply gratifying. Carriage Home owners are dining together, jogging and even traveling together. Envisioned as a garden community in the woods, the Carriage Homes are designed to blend into the landscape. As the plantings mature, a walk through the lush green neighborhood will feel even more invigorating. This holiday, as we count down the last three Carriage Homes, we extend warm wishes to all of our Carriage Home owners. Thank you for your friendship, and for the warm and welcoming neighborhood you have created. And to you, who crave a simpler, richer life, we offer you three final chances to claim this privileged experience – AND a special Incentive to purchase your Carriage Home in time for the Holidays: an extra garage bay valued at $50,000. For a private tour or more information, please call Jean Gadra at The Sivel Group: 610-842-9101.